This Mooli Bhaji or Radish stir-fry is one of my favourites that I relish with parathas and chapatis. If you don't like the smell of curry leaves then you may omit it out from your recipe. For pure vegans, onion is not an essential item to be added for making this curry. My mother used to make this awesome Mooli bhaji at home and though I was very picky about vegetables at that time, I relished this one item without qualms. 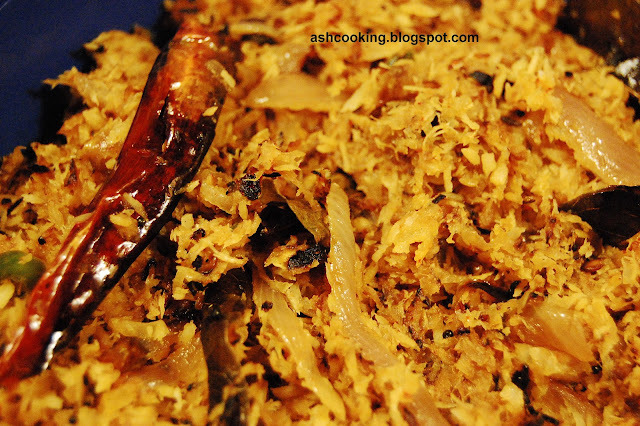 It tastes great with roti, chapati and even parathas, but can be a good accompaniment to rice too. 1) Squeeze water out of the radish and keep aside. 2) Heat oil in a wok. When oil turns hot, add the ingredients for saute and allow them to crackle. 3) Add the radish and shallow fry them on medium heat, stirring occasionally. Add onion and green chillies. Stir up till onion turns translucent. 4) Add cumin powder, coriander powder and kashmiri red mirch. Add ginger-garlic paste and salt. Combine all the ingredients. Continue frying till radish turns golden brown in color. 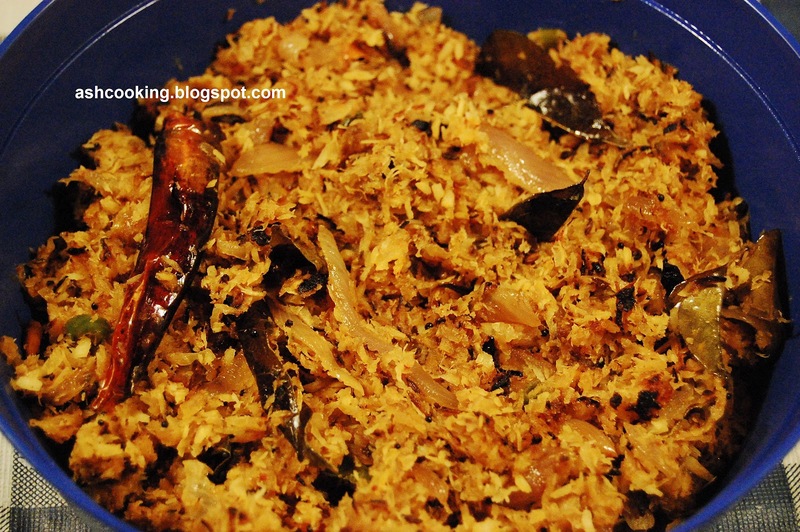 5) Add coconut and stir fry till coconut slightly changes color. 6) When radish has all the flavour of spices nicely incorporated in it and it tastes crispy yet soft in texture, switch off the heat.